Jason and Jennifer McDougal, purchased Caldwell Funeral Chapel in 2006, and Jason is the active owner and operator. Jennifer has a love of teaching and coaching and is currently teaching math and coaching cross country and track for the Safford Schools. She also plays a large part in the decision making at the Chapel. Jason and Jennifer graduated from Ricks College in Rexburg Idaho, now BYU Idaho. Jason is a graduate of Common Wealth Institute of Funeral Service in Houston, and Jennifer graduated with a BS in Elementary Education from Utah State University and has now taught for over 20 years.. They are the proud parents of four active children, who all have helped at the family business. Jason has been in the Funeral Care Industry since 1995, and is a licensed Funeral Director, Embalmer and Crematory Operator and brings experience in management, directing, embalming, restoration, and many aspects of the funeral business.. Jennifer brings expertise of office management, and community outreach programs. Jennifer finally came into the family business after some coaxing and found a passion for it. She has been a big support of Jason. Jason and Jennifer have two grandchildren that they love more than anything. Jason loves to fly fish, hunt, ride dirt bikes and his Harley. Jennifer loves to run, and bike, and has competed in many triathlons. Jason and Jennifer love Arizona, especially the Gila Valley and Greenlee County. They feel it a great honor to serve in this area and love the people here. Brian was born and raised in a small farming community of Bushnell, IL. He graduated from Bushnell-Prairie City High School then enlisted in the US Army. After an honorable discharge, Brian attended and later graduated from Southern Illinois University College of Mortuary Science in Carbondale, IL. He has been affiliated with Caldwell Chapel since 1993 and thoroughly enjoys all aspects of funeral service. Brian is married to a Safford native, Lisa Clawson and together have three children; Hayden, Claire and Tate. Brian is a Licensed Funeral Director and Embalmer in the State of Arizona. He brings years of experience and skill, and has served many of the families in the valley. Jayme was raised in Tucson, AZ until her teen years when her family moved to San Manuel, AZ. Jayme graduated from San Manuel High School and married her high school sweetheart, Randy Lucas, and raised 3 children while working as an Emergency Medical Technician in the tri-community area. In 1990 Jayme and her family moved to the Safford area settling in Artesia. After the passing of her husband Randy in 2000, she married Mike Gauthier and joined the Caldwell team in 2007. She enjoys spending time with her 3 children and 13 grandchildren. Family is everything to her. "I know first hand the pain of losing a loved one and strive to help each family that we serve in any way that I can. I've always enjoyed helping others and I'm grateful for the opportunity to do so here at McDougal's Caldwell Funeral Chapel." 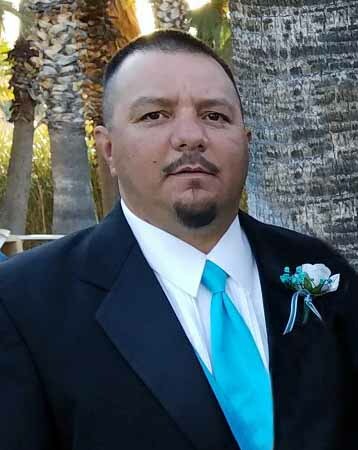 Chris was born and raised in Safford, AZ and after graduating from Safford High School he enlisted in the United States Army and served as an Airborne Paratrooper and Psychological Warfare Team Leader with the U.S. Army Special Operations Forces. He served two combat tours in Afghanistan at the height of the war. Upon returning home to Safford, he met his sweetheart Sarah while they both attended Eastern Arizona College. They were married in the Church of Jesus Christ of Latter-day Saints Gila Valley Temple in June 2014. In July 2015 they were blessed with their first child, a daughter named Jordan and in February 2019 they welcomed their second child, a son named Spencer. In 2014 Chris founded Desert Eagle Addiction Recovery, a non-profit organization dedicated to helping individuals recover from addiction. Chris is very civic minded and loves serving the people of the Gila Valley. He serves as a certified Firefighter with the Safford Fire Department and as an elected member of the Safford City Council. 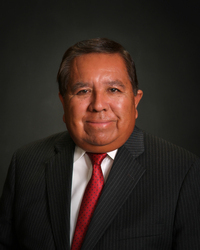 He has also served as president of the Safford Rotary Club among other capacities. Joshua was born in Cypress, Texas and raised by his parents, Jason and Jennifer McDougal, in Safford, AZ. After graduating from Thatcher High School, he served a mission for The Church of Jesus Christ of Latter-day Saints in the Jackson Mississippi Mission. Upon returning home to Safford, Josh started dating his sweetheart, Sarah Green, while they were both attending Eastern Arizona College. They were married in the Church of Jesus Chris of Latter-day Saints Gila Valley Temple on December 16th, 2017. 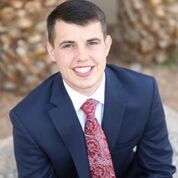 Josh has loved serving in the funeral home for many years, and plans to be here for the rest of his life serving the people he loves in the Gila Valley. His focus in making funeral arrangements is to always put the family first. Josh has also taken part in an AP Lazer engraving course, and he will make keepsakes to remember your loved ones by. Josh will soon start Mortuary Science School to become a licensed Funeral Director. Tracey Ferguson is our Business Administrator/Human Resource Manager and Insurance Liaison. 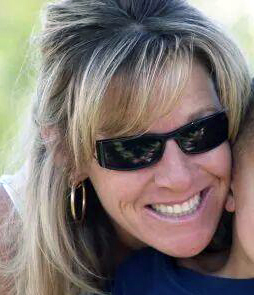 Tracey grew up in Penryn, California and moved to Eagar, Arizona at the age of 13. 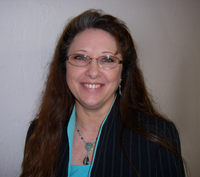 She remained in Eagar until 1996, at which time she moved to Safford to temporarily manage Axxcel Rentals, Inc., and has never left the Gila Valley. Tracey attended Northern Pioneer College where she completed the Business Management program, is AMA Certified; studying Business Law, Business Management, Accounting and computer programming. She has 25 plus years of experience in Healthcare Practice Administration and now takes care of finances for McDougal's Caldwell Funeral Chapel, as well as Wayne's Mobile Maintenance, a business she owns with her best friend and husband, Wayne Ferguson. Tracey and Wayne were married in 1998 and together they have 6 children and 10 amazing grandchildren. In her free time, she loves to relax with her children, grandchildren and good friends at her cabin in Alpine, Az. Chris is our monument specialist and wants to assure that our clients get the very best service. Chris grew up in the Gila Valley and now has a family of his own. He loves to hunt, fish, and explore the outdoors with his family in their side-by-side. He is very involved with his kids sports and loves to watch them compete and succeed. He is very talented in engraving and loves to create beautiful keepsakes for the families he works with. Pastor Vernon Poncho, has been the Pastor of the Lighthouse Assembly of God Church in Bylas for the past 13 years and has been a pastor for over 38 years. Poncho has served in the Funeral Care Service for over 9 years and has a great love for his Native American people. He serves as a consultant for all their funeral needs. Poncho is married to Geraldine Moses. They have one child and one grandchild, and they live in Bylas. Kevin was born in Tucson and raised in Morenci. He moved to Safford with his family the summer before starting high school. He graduated from Safford High then served a mission in Montevideo, Uruguay. This is where he became fluent in the Spanish language. After returning to Safford he married his sweet heart, Kristi Curtis. They have 4 children and 3 grandchildren and counting. Kevin taught school in Safford for many years earning a Masters degree in Bilingual Education. He then went into the business world earning an MBA in finance. During this time he also earned his insurance licenses. He has been in the insurance business part time since 2005. Kevin and Kristi love serving the community and are involved with several different events. 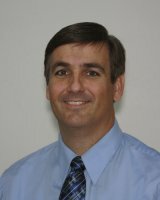 Kevin brings years of knowledge and experience to the pre-need team and is ready to answer any questions.